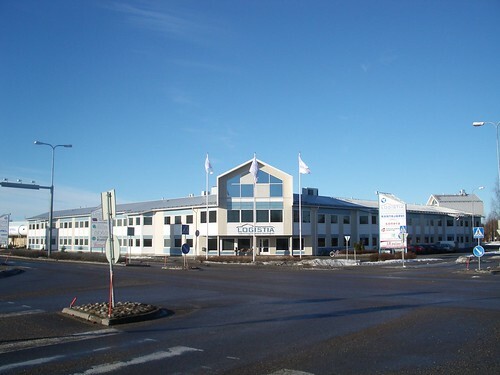 The Logistia Technology Center is the #1 Science Park in Finland. Companies based at the Logistia Technology Center don’t always have personel 24/7 at their offices. Some of them have headquarters outside the Technology Center and use the office at Logistia only to receive prospects, leads and customers during certain hours or days per week. Generally, the large majority of the offices are unattended during lunch breaks, holidays or closing days. Enable visitors to get in touch with companies when their representatives are not there to receive them. Help the companies generate and nurture leads by offering an engaging experience to visitors. Finland has a mobile penetration rate of more than 150%, which is really high compared to the rest of Western Europe. We decided to go mobile. QR Codes are among the new emerging technologies that are starting to be utilized to link people to context-sensitive digital content. The pilot tests that we ran at itive confirmed QR Codes as the tactical tech to be adopted for this project. We created a “Digital Assistant” that can be activated by the Logistia Technology Center’s visitors by scanning a QR code when company representatives are out of the office at the time a visitor comes by to see them. Focus: help companies “fill the gap” and keep generating & nurturing target audiences while away from the office. When scanned, the QR Digital Assistant displays a mobile “touch-and-connect” interface that enables prospects, leads and customers to contact the company representatives with a simple touch from their mobile devices via phone, Skype call, email or Twitter. In addition to that, depending on the needs of each company, the QR Digital Assistant provides information about hours of operation, special promotions/offers or other informational material about the company that can be downloaded with a simple touch in PDF format directly to the visitor’s mobile device thanks to the free Wifi offered by the Logistia Technology Center. In the respect of the confidentiality expressed by some of the companies that adopted the QR Digital Assistant, the following stats represent the average of the data collected and analyzed during the first 9 months of the project. We are currently monitoring traffic and usage of the QR Digital Assistants and we’ll keep updating this page with new stats as soon as they’re available. 52% adoption rate among the companies with offices located at the Logistia Technology Center. The connection rate was a stunning 98% – this means that out of the 52% of the companies that chose to use the QR Digital Assistant, 98% got “scanned-through” and successfully connected with their target prospects, leads or existing customers. On the other hand, the frequency rate with which the codes were scanned is less impressive and varied between 1 to 7 times per month. The companies that received the highest scan-through frequency were those that operate in IT/Web Services, Logistics and Regional Development offices. The ones that received the lowest frequency were Consulting Firms. As we analyzed the data, we noticed that some of the incoming traffic wasn’t just coming from Finland, but from other countries as well. What we discovered was that some of the visitors who scanned the QR codes sent them via email to foreign contacts or team members who eventually utilized the codes from abroad. This was most likely the case of teams/delegations that were visiting the Logistia Technology Center, but are actually based outside of Finland. This was an unexpected result and a metric that we didn’t think of including in the initial measurement plan. We were happy to find this in our analysis. Thanks to this metric we will be able to keep understanding which “countries” are visiting the Technology Center, and consequentially help Logistia’s companies to better engage foreign target audiences, as well. Glad you liked it Eric!